The industry’s leading manufacturer of critical cleaning, coating and lubrication products, MicroCare Corp. has extended its portfolio even further with the launch of new and progressive products which will be showcased at this year’s SMTA International in Chicago, Illinois, USA from 14 – 18th October, which includes a new series of flux remover pens. Now presented in convenient pen-style packaging are three popular MicroCare flux removing chemistries including; the RMA Flux Remover, No-Clean Flux Remover and the Water-Soluble Flux Remover Pens. Each has been specifically designed to successfully remove flux quickly and safely from PCBs. The No-Clean Flux Remover Pen is based on the popular MicroCare cleaner, No-Clean Flux Remover – VeriClean™ which is already available in a variety of sizes from an aerosol canister to drum. The new ‘pen’ package gives technicians another option to easily clean flux and pastes quickly, leaving no residue. It also has the advantage of cleaning other contaminants like adhesives, oil and grease. It is an exceptional degreaser and general-purpose cleaner and is exempt from VOC regulations in most areas. The new RMA Flux Remover Pen, which contains a high-purity extra-strength formulation, helps to clean aged and baked-on flux which can prove difficult to remove. It easily penetrates and dissolves excess flux and removes ionic and non-ionic activators effortlessly. The final of the new trio of flux cleaners is the Water-Soluble (OA) Flux Remover Pen, an economical cleaner for rosin, water-based and no-clean fluxes. Because of its slower evaporation rate, the cleaning time can be increased when removing baked-on flux residue leaving equipment residue-free. 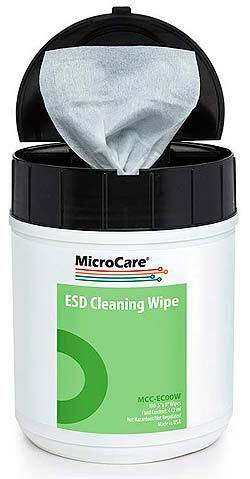 Also new to the portfolio, and featured at SMTAi, is the ESD Presaturated Cleaning Wipes. The static-dissipative, lint-free wipes successfully remove flux residues, oils, fingerprints, dirt and debris from ESD mats, tools, bins, tool racks, workbenches and other surfaces in a PCB manufacturing facility, making it the perfect choice for a variety of cleaning jobs. A further addition to the MicroCare family of cleaning products, and new this year, is the economy size flux remover aerosols, including the Heavy Duty Flux Remover – SuprClean™, the Alcohol-Enhanced Flux Remover – ProClean™ and No-Clean Flux Remover – VeriClean™. The larger size helps to reduce waste and offers impressive cost-saving benefits. All three cleaners have also been designed to work with the patented TriggerGrip™ cleaning system from MicroCare. This dispensing tool is the electronics industry’s most efficient device for cleaning printed circuit boards at the benchtop. Heavy Duty Flux Remover – SuprClean™ now available in the larger economy 19oz/540g size can is a versatile non-flammable product that delivers impressive cleaning on the toughest jobs, especially rosin fluxes and removes most acrylic and urethane conformal coatings. Alcohol-Enhanced Flux Remover – ProClean™, packaged in the new 15oz/425g size is a mild, plastic-safe, low-cost alcohol-based defluxer. It is relatively slow-drying, so operators have time to clean baked-on flux residues without wasting fluid. 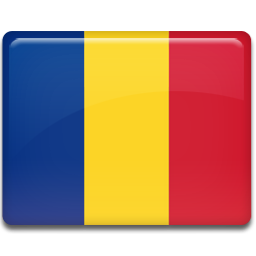 As an added benefit it has excellent toxicity and environmental ratings. No-Clean Flux Remover – VeriClean™, is now available in the larger 15oz/425g size. It is the industry’s most versatile choice for cleaning no-clean fluxes and pastes and is also an excellent degreaser often used to remove fully-cured silicone conformal coatings and adhesives. The full range of MicroCare Corp. products will be exhibited on booth #1015 from 14 – 18 October 2018 at SMTAi.